Eveready has become a very popular and renowned brand name in India with its headquarters based in Kolkata, India. At its onset, it imported batteries from the United States and sold in several places in India. The company set up its first factory for arc-carbon in the year 1926 at Canal Road in Kolkata. In the year 1939, it established a battery plant at Cossipore in Kolkata and another in the year 1952 at Chennai. In the year 1958, it set up a manufacturing facility for torches in Lucknow. Operations are conducted through its offices that are located in Navi Mumbai, Gurgaon, Noida, Hyderabad, Chennai and Kolkata. Eveready has a deep-rooted and extensive distribution network that involves penetration of both urban and rural sector. The channel includes the quick availability of products through retail stores, e-tailing, electrical outlets and traditional networks like general stores, grocery stores, stationary shops, music shops, hardware stores, gift stores, printing centres and photo studios. Its sales network is handled by strong and capable sales force. 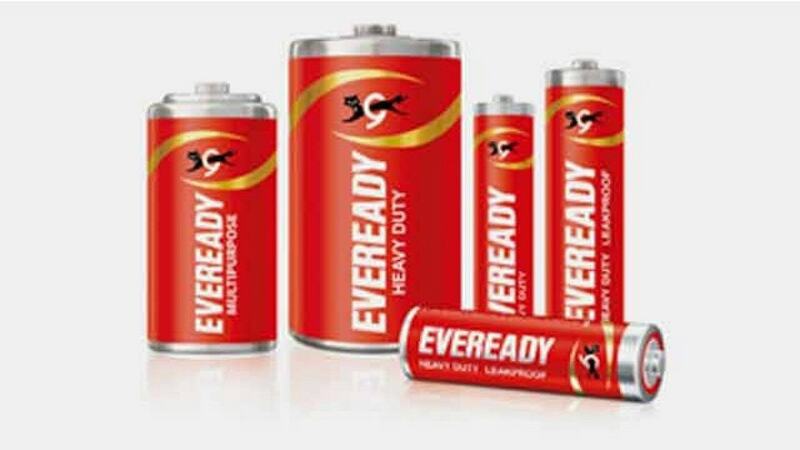 Eveready has become an integral part of Indian household through its various products. It is the undisputed leader in the consumer market in relation with battery segment. The company has put a high emphasis on penetrating every nook and corner of India and hence set up it is pricing policies to capture consumer market in both urban and rural sector. Eveready has adopted a reasonable pricing policy for capturing a wide consumer base through affordable prices. It also has kept its prices lower than the prices set up by its competitors under competitive pricing policy. Its strength lies in its economical prices that have created huge sales volume and contributed towards its success and great revenues. A good promotional policy will take a company very far and Eveready has already an advanced marketing strategy in place. Give me Red is one of its most popular tagline which was launched in the year 1992 and company still continue to use because it has become a synonym of the brand. The company appointed Indian superstar Amitabh Bachchan in the year 2004 and later also roped in actor Akshay Kumar as its brand ambassadors. Several ad campaigns were released with first Amitabh Bachchan and later Akshay Kumar featuring them and displaying advantages of the brand. Eveready uses all possible marketing tools to its maximum advantage. Commercials are aired through electronic media on radio and several prominent channels of television. Advertisements are published in print media through magazines, newspapers and hoardings.